The Pioneers can only manage five hits in their season opener on Tuesday night. SANDY — Whether it was pitchers giving away free passes or hitters coming up empty with runners in scoring position, Sandy just made too many mistakes to come away with the win. Sherwood jumped on top 4-0 after three innings and Sandy could never recover as the Pioneers lost their season opener by a score of 8-2 on Tuesday. "If we could have put the ball in play a little more consistently, I think we could applied more pressure on (Sherwood)," Sandy head coach Rick Martin said. "The pressure was on our defense and our pitching all night and our offense couldn't respond when we needed...Sherwood it a very good club, so we like that we got the chance to play them early to get a gage of where we are." 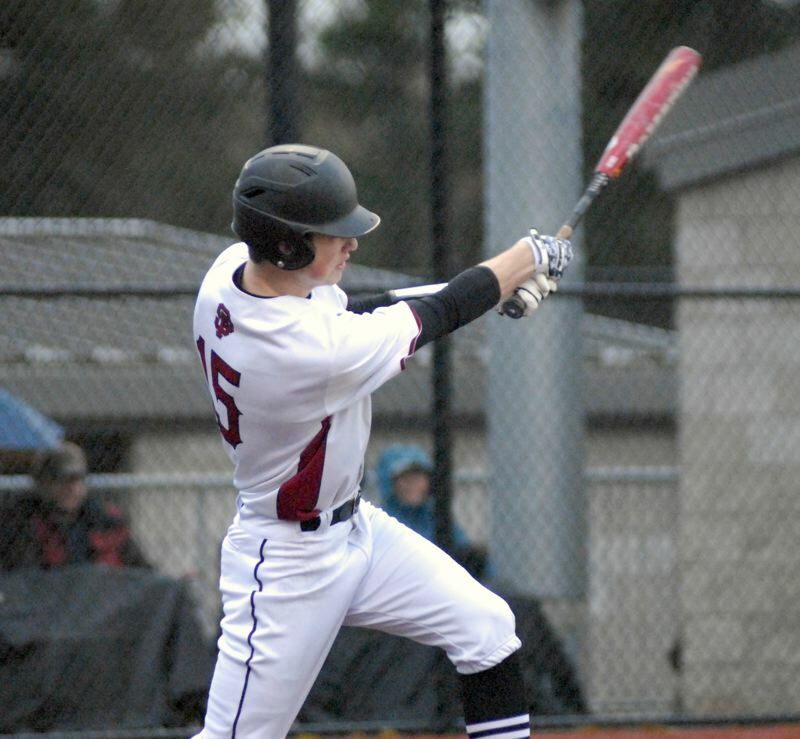 After a hit-batsmen and a pair of singles, center fielder Bryce Vaughn put the Bowmen on the board in the top of the first with a sacrifice fly to bring home Riley Aggson from third, putting Sherwood on top 1-0. Aggson, who started on the mound for Sherwood, looked to be in trouble when both Jacob Dukart and Nolan Turin both reached on errors to start the bottom half of the frame. But the tall-right hander recovered by striking out Colby Carson — who failed to lay down a bunt to move the runners — and forcing Colby Bonner to fly out to center. Aggson got out of the inning by striking out Tyler King, despite both Dukart and Turin getting into scoring position on a double steal two pitches earlier. "Our pitchers were outstanding all the way around. They picked are defense up when we couldn't make the routine play," Sherwood head coach Nate Hickok said. "Riley did a really good job of mixing his pitches up and just attacking hitters." Look for extended coverage in the March 21 edition.